According to ASER, an annual survey of learning outcomes in reading and arithmetic, across urban and rural India, in 2005, nearly half the children enrolled in class 5 were unable to read a class 2 text and the number has remained unchanged in 2014. This problem is further magnified in rural India, where only 60 per cent of children complete high school; of which only 20 per cent pursue under graduation. With 70 per cent of India staying in the villages and nearly 25 per cent of them going to school, this is a challenge faced by over 175 million children. The low socio-economic conditions, lack of access to (quality) reading opportunities and focus on rote learning are primary contributors which in the long run, lead to poor literacy levels, lesser chances of success at workplaces and low economic benefits. Hippocampus Learning Centres (HLC) addresses the glaring gaps in the local education system by establishing kindergarten and after-school support centres within the villages and these are operated by trained local women. HLC charges an affordable fee to cover the operational costs (~INR 100-250) and a modest profit margin, thereby leading to a sustainable and scalable business. HLC’s model provides high-quality, affordable, community-based education services that are focused on improving learning outcomes and ensuring children are excelling. Hippocampus Learning Centres (HLC), is an organization with a vision to provide children and youth from low-income rural communities with high-quality prospects enabling them to make the most of their power of choice. HLC works in the field of education offering opportunities through its Full School Programme, EnglishSTAR Programme, Training Academy and its own Pre-School Programme which is run in its own establishments and in existing private schools. HLC is headquartered in Bengaluru, India. As of September 2016, HLC operates over 310 centres in Karnataka and has served over 11, 000 children. In the academic year 2016/17, HLC employed over 750 local women, creating employment opportunities in rural areas. HLC seeks to bridge the gap in learning outcomes between rural and urban India significantly and has set itself on a goal to serve more kindergartners than the country of Finland i.e., 200,000 children by 2020. By demonstrating improved learning judged at the scale of a European country, HLC aims to help shape policies and markets around early childhood education in emerging economies around the world. Umesh started his career with Infosys after finishing his degree from IIT-Madras. Post the sale of his startup Bangalore Labs in 2002, he helped his wife set up Hippocampus as an education services venture with multiple initiatives. In 2008, Umesh was selected as an Ashoka Fellow for Hippocampus’ work to improve reading habits among first-generation learners in India. 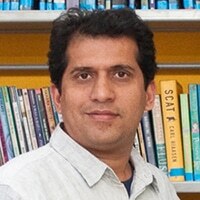 Since 2010, he has led Hippocampus Learning Centres, setting up learning centres in rural India.